Chip-maker AMD is back and is hitting the market with brand new products and a renewed spark. You may not be familiar with AMD’s technology but they have a foot firmly in the door of the marketplace. We take a look at their latest product which is taking the data centre world by storm. AMD (or Advanced Micro Devices) is an American semiconductor, producing microprocessors, motherboard chipsets and embedded processors for business and consumer markets. To put it simply – they make chips. While they have been out of the data centre market for around eight years now, having chosen to focus on other tech markets and ventures, the company’s values of ‘People, Purpose and Place’ highlight AMD’s desire to innovate and their commitment to allowing ‘technology to create a better world’. This philosophy is all well and good – don’t we all want to change the world? – but with AMD coming back into an ever-evolving, fast-moving market, the company need to hit the ground running. That’s where their cutting products come in. 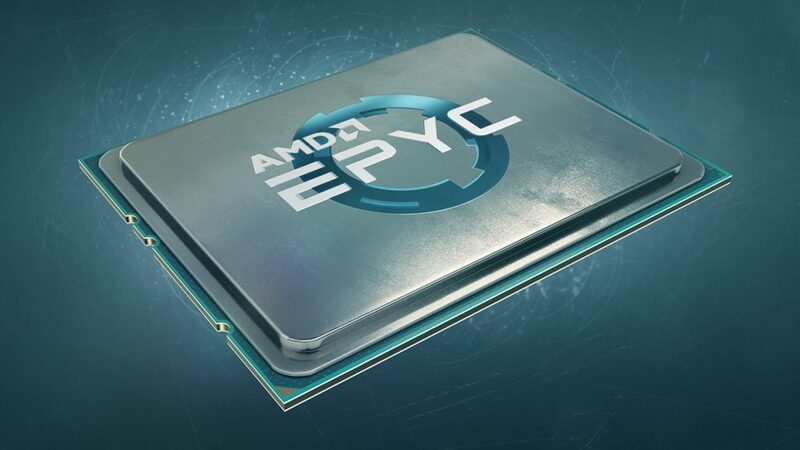 The AMD EPYC™ Chip, originally codenamed Naples before its release, hit the market in 2017. The CPU possesses up to 32 cores, 64 threads and eight memory channels, meaning that they have enhanced processing capabilities able to handle larger data sets in high performance computing (HPC) workloads. So what does this mean inside a data centre and what are the benefits for data centre owners? Basically, AMD are leaping ahead in their tech with EPYC – more users can be put onto an AMD stack with reduced overall power utilisation, giving service providers more revenue per rack unit (U). The chip is based on the company’s Zen architecture using Infinity Fabric and CCX and has heightened security which sets AMD apart. A highly scalable System on Chip (SoC) design ranging from 8-core to 32-core, supporting two high-performance threads per core. Industry-leading memory bandwidth across the line-up, with 8 channels of memory on every EPYC device. In a two-socket server, support for up to 32 DIMMS of DDR4 on 16 memory channels, delivering up to 4 terabytes of total memory capacity. Unprecedented support for integrated, high-speed I/O with up to 128 of PCI Express Lanes available. A highly-optimised cache structure for high-performance, energy efficient compute. 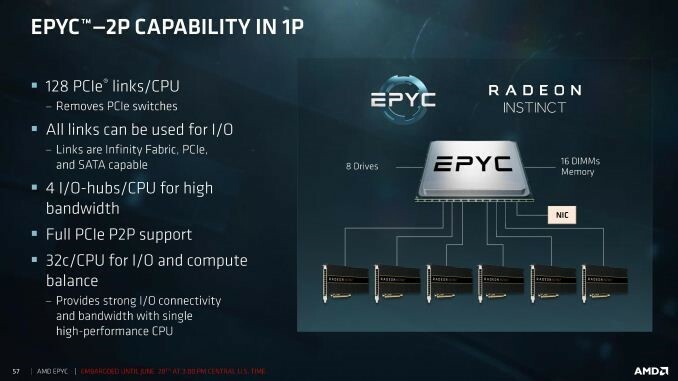 AMD Infinity Fabric coherent interconnect linking EPYC CPUs in a two-socket system. Dedicated security hardware via AMD’s Secure Memory Encryption (SME) and Secure Encrypted Virtualization (SEV). They’re right. It does sound pretty epic. Over the course of time where AMD has been out of the market, the data centre world has changed. They have come back to evolve the data centre industry but also to adapt to the changes that have been leading the way over the past few years, and this evolution certainly seems to be working. In 2018, AMD share prices are gaining traction since the announcement of new products and the growth in market share – rising 165% since April this year. Watch this space to find out AMD’s latest developments.